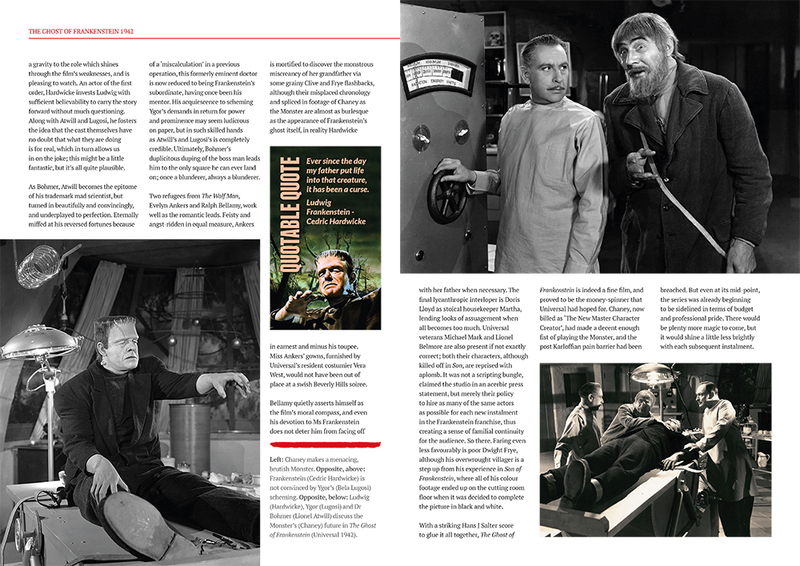 The Ghost of Frankenstein Ultimate Guide evokes the brochure you might have bought at the cinema in 1942! 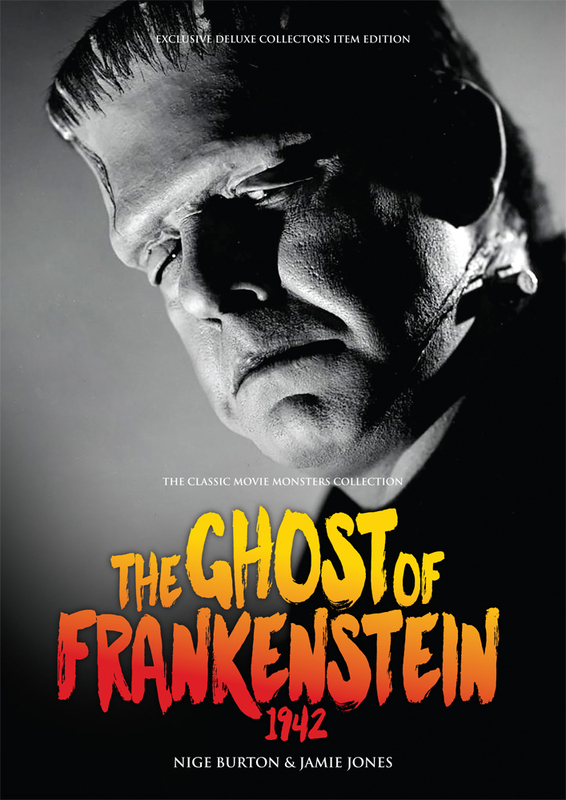 The 1942 continuation of Universal’s Frankenstein series has much to recommend it. 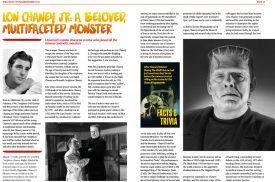 This new chapter in the ongoing saga saw a terrifying new portrayal of the Monster, and our luxurious Ultimate Guide magazine is the ideal way to rediscover this oft-overlooked classic. 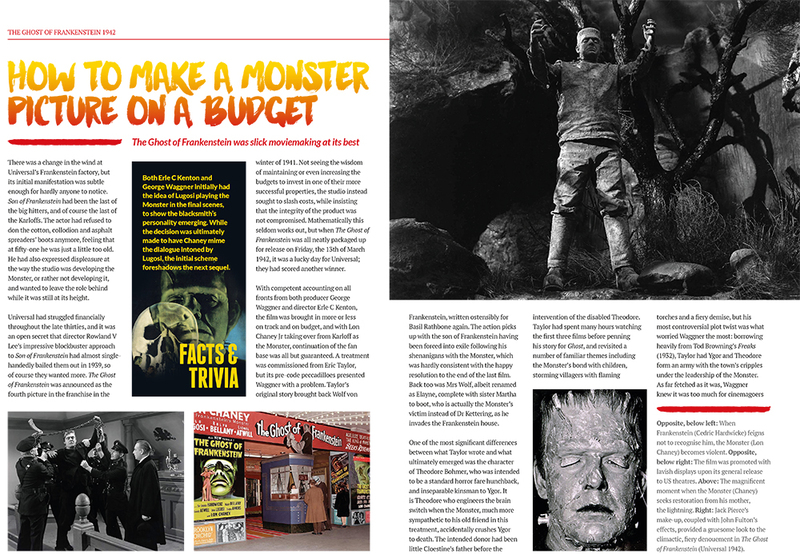 Within the 36 pages of this full colour guide, you’ll find a wealth of information ranging from behind-the-scenes trivia and details about the production of The Ghost of Frankenstein, to biographies of the cast and crew who turned a domestic drama into the stuff of nightmares. Naturally, everything is accompanied by beautiful stills, posters and lobby cards that will take you to the heart of Ludwig Frankenstein’s laboratory. No fan of the Universal Frankenstein series should miss this sumptuous guide to the first of the franchise without Boris Karloff, and the one that saw Lon Chaney Jr fill the Monster’s boots. Continuing the thread of Bela Lugosi’s superb characterisation of murderous blacksmith Ygor, and with fine performances from Evelyn Ankers, Cedric Hardwicke, Lionel Atwill and Ralph Bellamy, The Ghost of Frankenstein always proves a firm favourite among fans of classic horror. 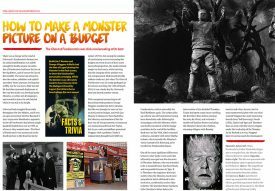 Just got Ghost of frankenstein guide and it’s wonderful (as always fantastic quality and extremely interesting). All the best and am looking forward to all your other guides coming out. At last someone’s got it right – the quality and focus on these super films. Am always amazed at the clarity of your photos. The Ghost of Frankenstein book is fantastic looking. Your products are getting even better. Excellent! FANTASTIC publications RECOMMENDED! The best! 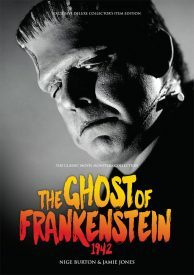 Your presentation of the unusual appearance of Bela Lugosi as the Frankenstein monster was just awesome. Informative writing, great photos and wonderful insights. 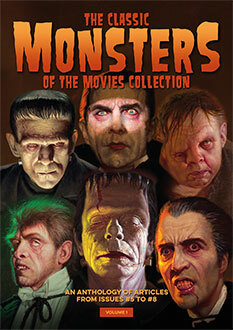 Just what I’ve come to expect from Classic Monsters!